Designed for transferring manure or loose material. One-piece forged head for durability. 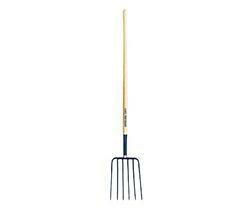 Oval tines 12-1/2 in. L. White Ash handle and 10" ferrule with cap for strength and flexibility. 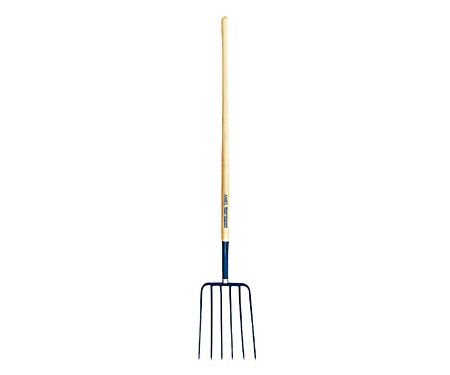 This Six Tine Manure Fork with Wood Handle is one of many top quality items in our Tine Forks department.